The deadliness of ocean plastic pollution for birds and other animals should come as no surprise. It is something biologists have witnessed for years, including among the albatross of Midway. 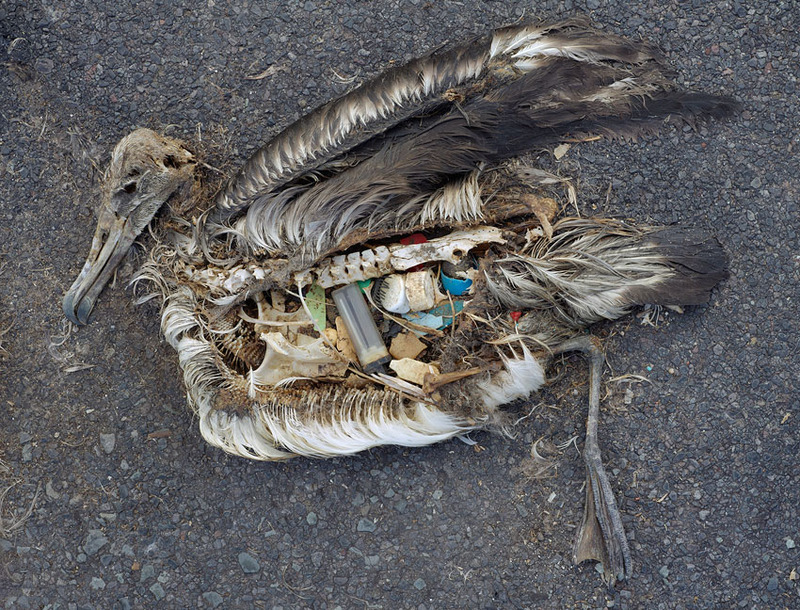 But the rate at which seabirds are ingesting plastic is surprising. A new study by US and Canadian scientists shows that seabirds in the northwest waters are gulping up far more plastic than they once did — at rates among the highest in the world. The American Bird Conservancy reports that Stephanie Avery-Gomm of the University of British Columbia and five other researchers worked on the study from 2009 to 2010, analyzing 67 Northern Fulmars, a type of seabird, that washed up dead on the shores between Long Beach, Washington, and Vancouver Island, British Columbia. They noted that the rates at which these birds seem to be ingesting plastic is approaching levels found in the notoriously polluted North Sea, which means levels of ingestion in the North Pacific has continually increased over the last 40 years. It is a result to be expected as our rate of plastic production, especially disposable plastics, is only increasing while our recycling rates worldwide are nothing to brag about. The mix of plastics found in the oceans, especially that floating at the surface for birds, can include anything from palm-sized fishing floats (that sadly look like a tempting squid) to bottle caps, from lighters to fishing line, and most dangerously, fragmented pieces of plastic with sharp edges that can slice open stomach lining. “The science on this issue is still being refined – there is much we don’t know about the impacts of plastic ingestion on birds in general and Northern Fulmars in particular. We do know that the plastic in the stomach displaces the space for food that the birds need and that plastic can lacerate the stomach lining. Some of the birds we looked at had their gizzards completely full with plastic. We also know that plastic in the sea absorbs an astounding level of contaminants in a very short time and that these contaminants may leach out in a bird that swallows it,” said Avery-Gomm. The researchers found that the dead birds had ingested an average of 0.385 grams of plastic in the 2009/2010 study, compared to 0.12 grams in a 1987 study and 0.04 grams in a 1969 -1977 study. The incidence of plastic ingestion is also on an upward trend. A 1968-1977 study found that 57.9 percent of the studied fulmars had ingested plastic, compared to 84.2 percent in 1988-1989 and 92.5 percent in 2009-2010. While there is still much to be learned about the impact of ocean plastic pollution on seabirds (as well as the thousands of other marine species ingesting plastics) there is one thing that is for sure: it is a serious problem that is only getting worse. Much, much more attention needs to be brought to the issue, including stopping plastic at its source — us. ← G20 rioter sentenced to prison… Send her a letter!